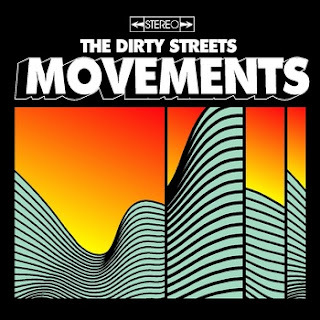 Dirty Streets will lighten things up here at Heavy Planet with their latest release 'Movements'. The Memphis power-trio not only make an excellent devotional, roots, rock n' roll band, but must be science geniuses. They have certainly devised a strategy to bend the space-time continuum, because Movements is classic rock in its purest form. The tunes don't "sound like" classic 70's rock written in 2012, they are classic rock beamed to us directly from the source. The album is full of memorable hooks and riffs, strong enough to keep any addict coming back. Might I suggest giving 'Fight You' a listen and if this tune doesn't have you wanting more of these Dirty Streets, then the rest of the album is streaming at bandcamp, that should do the job. Look out James Brown, because there is a new hardest working man [men] in show business have arrived. "From the hallowed halls of ancient tombs to the shimmering slopes of frozen mountain peaks, an archaic dirge resonates faintly and eternally— the lingering of a sound once so huge that it could be heard across oceans in distant lands. It was said that long ago, three men harvested the power of sonic amplification through arcane wizardry and dark bargainings with powerful demons, and that they used this power to create a band with powerful, heavy music unlike any that had ever been heard before." 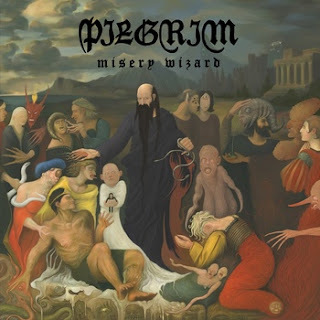 The album was released just last month (27 January 2012) by Metal Blade Records. Get your copy now at bandcamp, big cartel, iTunes, or from Metal Blade direct.